Last Sunday, April 10th 2016, the 18th Annual Phoenix Home & Garden Tour took place and gave nearly 1,000 attendees exclusive access into 5 hand-selected, beautiful residential gardens around Paradise Valley, Arizona. McCallister Sculpture was proud to have displayed signature metalwork including “Ascendance“, “Jormungandr“, and custom trellises in the same property designed by the esteemed landscape architect, Greg Trutza. It was an exhilarating experience for nearly 1,000 people to view, experience, and openly discuss my works of art. Dozens of connections for custom metalwork commissions and outdoor landscape sculptures for local Scottsdale residents were made. What was most gratifying however was the relationships I built founded around the genuine appreciation for art successfully incorporated in its environment. Combining the glory of manmade materials with nature’s organic beauty is both a consistent theme and inspiration for my signature work. As an artist and attendee, I highly recommend joining the self-guided Phoenix Home & Garden Tour in 2017! Thank you to the amazing organizers, volunteers, landscape design professionals, and of course, all the garden art enthusiasts. Please enjoy some highlight photos from the 18th Annual Phoenix Home & Garden Tour – McCallister Sculpture edition. 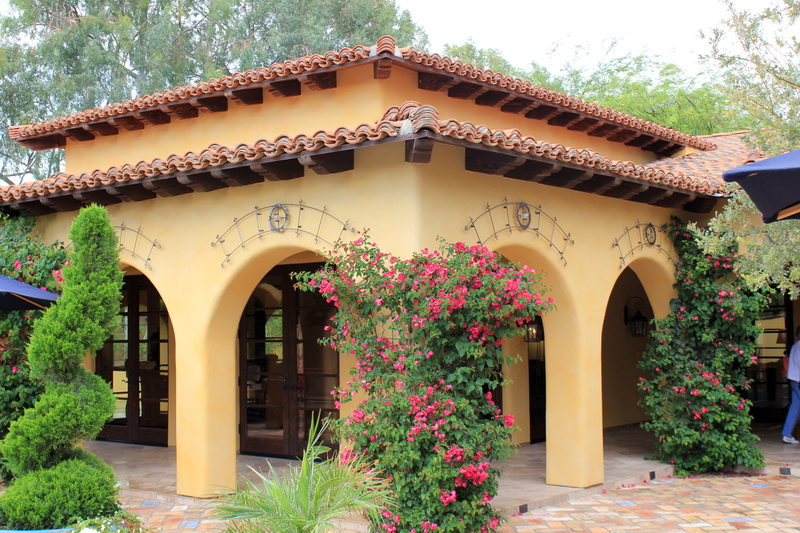 If you were able to attend the 18th Annual Phoenix Home & Garden Tour, please feel free to leave feedback or photos in the comment section below! wish I lived in the area – would have loved to attend – great photos!